Very useful product. 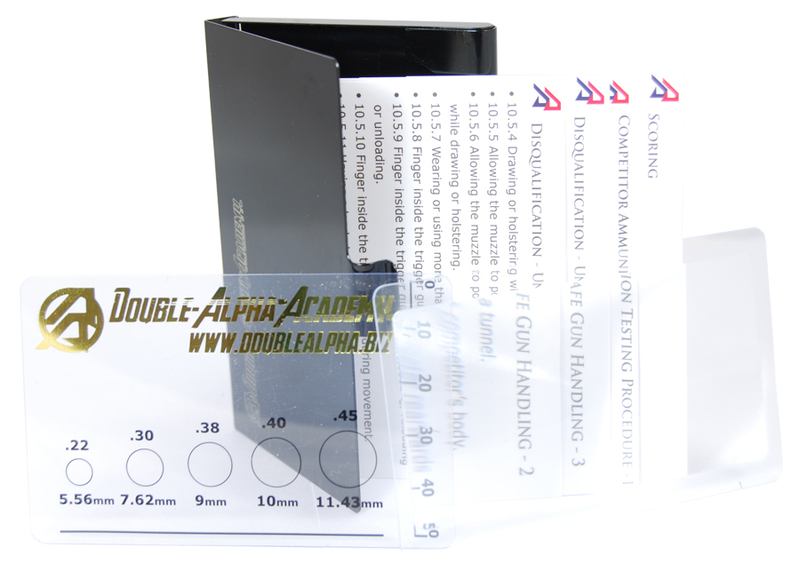 When range officers are busy and don't wish to delay the shooting, the contents of this kit are useful for magnifying targets, measuring equipment distance from shooter torsos, and using the right rule to call out infractions. Strongly recommended. Item exactly as described,well made and useful. Get some strange looks when I pull it out. The look is "What is that?" IMO that alone is worth the cost. This is a handy kit to carry around when officiating! - The rule-cards are good to have for easy access when verifying rule numbers for score sheets when DQs/Warnings/Reshoots and so on occur. The magnifying glass is also good to have for range officers when scoring targets. The Range Officer Assist Kit was just as expected. It is very handy, and most of the usedvanlig rules can be found on the cards. Fits in shirtpocket. Good choice! 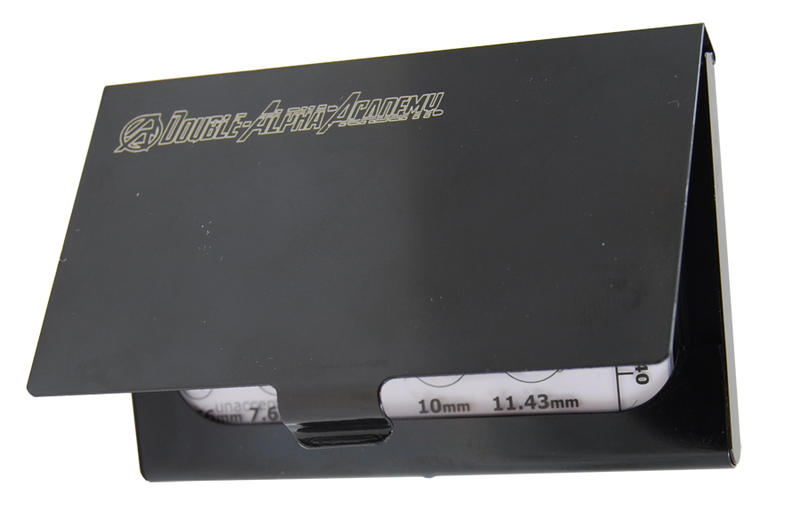 The DAA Range Officer Assist Kit is a must have item for anyone planning to score targets out on the range. 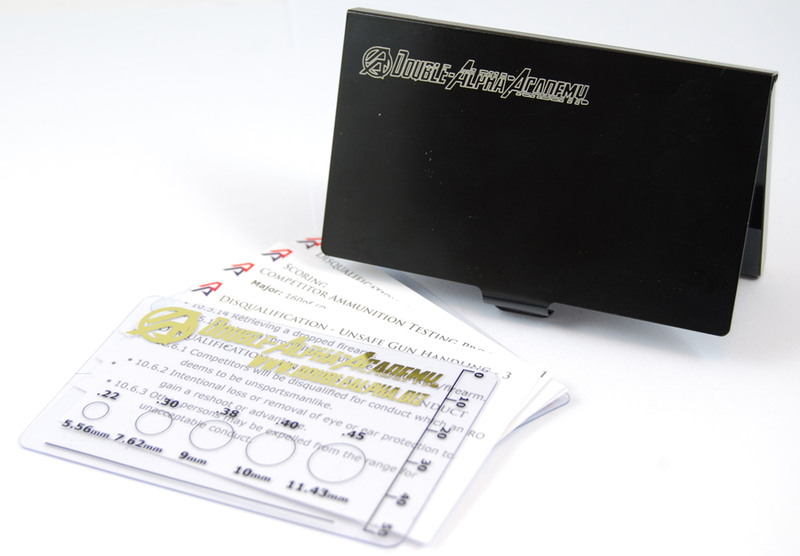 · 4 double sided printed cards with many of the most useful rules, critical to remember, such as DQ regulations, equipment pointers and more. Match Organizers: if you would like to offer this kit to your match RO’s and officials, we can custom engrave your logo on the cases. Contact us for details. Club managers: order 20 pcs or more – and get a free logo engraved on your case.